Ok, so maybe this shows how my Facebook and Twitter feeds are littered with your typical meatheads and workout-a-holics. But, it reveals a very important point that seems to be ignored in workouts: more is not always better. Better is better. A) This person is a runner and since they need to increase their time per mile, they decide to simply run more miles. They think “if I can run 10 miles in X time, I can run my next 10K (6.2 miles) even faster!” Then, this person gets sick and misses a few days of running, so they decide to step it up even further and run 12 miles four or five times during a week. B) This person is a weight room fiend, and decides they want to get as jacked as possible. If they go to the gym 5-6 times a week, for at least 60-90 minutes each time, they’re going to get huge. Right? Right!?! Ok, confession time. I’ve been both of those people. Believe me, I’ve learned first hand that more is rarely better. In fact, I can tell you after having shoulder impingement, a strained bicep, strained pec, pulled glute, wrist tendinosis, and chronic back pain, that I’m a living example of doing too much. So what’s next? There’s no need to talk about cortisol, hormones, or your body’s immunoresponse (yes, your immune system is quite active after you work out) as long as you focus on quality in everything. Quality work at the gym, quality sleep, quality food, and quality rest. You may not want to believe it, but rest days really are as important as your workout days. The average length of my workouts? 45 minutes, three or four times a week. That includes all foam rolling, activation, mobility, strength and conditioning work. And believe it or not, since I started taking a more time efficient point of view at the gym, my gains have really increased. 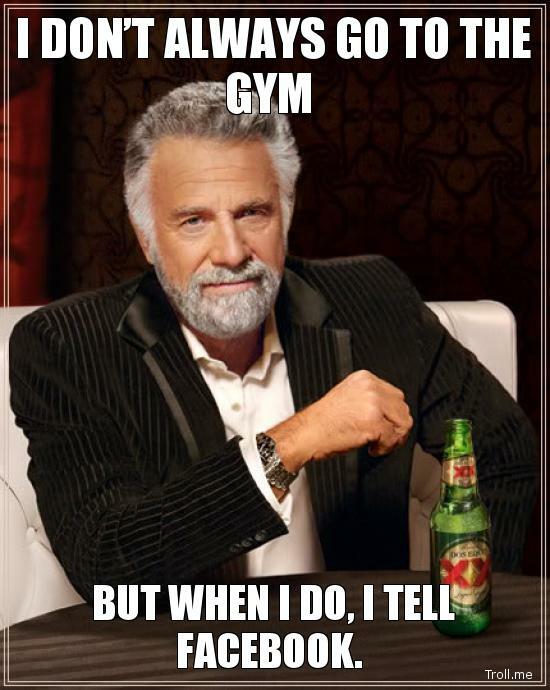 For all of you workout overachievers out there, realize that there really is a time and place for moderation.